Before I begin, it is better to firstly inform to my international readers that I am based in Malaysia so these websites that I am going to talk about are not all available across the globe. There are a few of them that do ship across Asia and one that ships internationally so, if you're keen to know, keep on reading! As much as I love going out for shopping and window shopping, I, as a normal human being, have my own idle moment of not wanting to get out of the house. When that moment hits me, online shopping would be the answer! And let me tell you, I do shop online A LOT. It's just easier! Compared to going out shopping for the whole day at the mall, being at home you really don't have to worry about petrol, toll and parking fees, your lunch is prepared with your mum, which is the best, and of course, your feet won't end up getting hurt in those heels for walking the whole day. Your boyfriend will thank you to as he doesn't need to help to carry your stuffs, haha! just kidding. Online shops nowadays are providing better services I would say. You can get coupon codes for better discounts, free returns if you have problems with your orders, cash on delivery service, and so much more! Now I will not call myself as a perfectionist, but when I do shop online, I am very particular about the littlest details like prices, shipping fees and discount codes. I make sure to get the best deals possible. 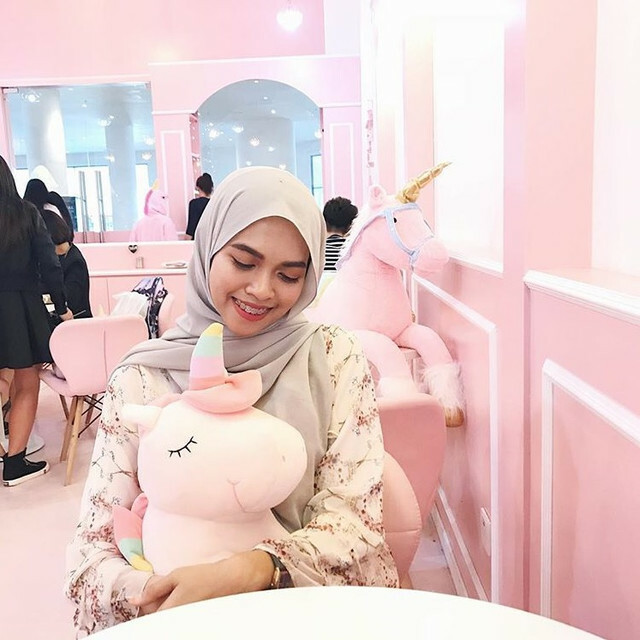 After so many years of my online shopping experiences, here I will present to you my top 5 favorite online shops where I mostly get especially beauty products from. Of course I'll put this as my number one! 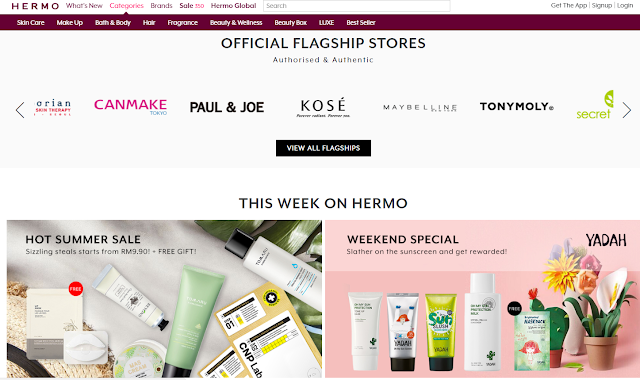 Yes, you can shop sephora online. So don't worry if you can't find that Mario Badescu Aloe Soothing Mist that you've been looking for since forever. I totally understand that mist is always sold out in their physical stores. Ugh. But fret not, they always have it in their online store! I often buy mostly skincare products here. I wouldn't recommend purchasing makeup palettes, or palettes in general because I did that twice and there are two palettes that came a little bit cracked and broken, even though they bubble wrapped everything securely. 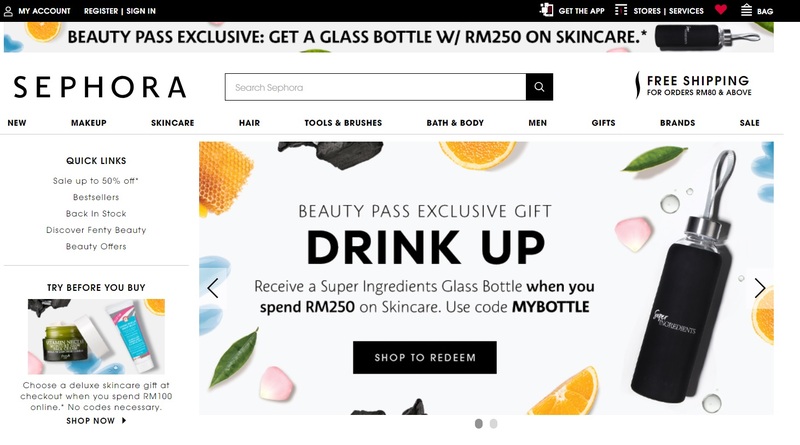 What you should know is, even though the link says Sephora Malaysia, but orders taken here are actually shipped from Singapore's Sephora warehouse Therefore, you can find so many other beauty brands that are not available in Malaysian Sephora physical stores in this website like Blithe and MILK. However, because the products are shipped from Singapore, it will take about a week or longer for it to arrive to your doorstep so do take note! You can choose free sample when purchasing certain amount, one of the reasons why I prefer to shop at Sephora online. Free shipping is provided for orders above RM80. Click here to visit Sephora! While Sephora sells me western beauty products, Althea sells me korean beauty products. I love them so much, and to me, Althea provides the best and lowest price out of any other merchants that I know. Previously, free shipping is provided for orders above RM120, but I guess due to demands and competitions, they now provide free shipping when you buy two products and above. That's so much better! And when I say inexpensive, I really mean it. Take and example for Mamonde toner that I bought just a few days ago here. They're selling it for RM85 in Sephora and Hermo, but just RM56 at Althea. And don't worry! Althea is certified and sells only original products. You can use my link below to get 20% off with minimum purchase of RM150. The best part is, they can do shipping across the globe. So don't worry my international readers. I'm sure you're going to love this store as much as I do! Click here to visit Althea and get 20% off! This website is very famous among us Malaysians, right? Despite being a little bit more expensive than Althea for some of their Korean products, they do have a wider selection of brands and products. They also sells local and western products as well at cheaper prices than in physical stores. They often carry promotions and deals like bundle purchase discounts and weekend sale. I usually purchase my korean products that are not available in Althea such as Cosrx. Free delivery in West Malaysia is available if you purchased two items or more, while more than RM150 for East Malaysia. Currently they only ships products throughout Malaysia. Delivery time is slightly faster than Althea. 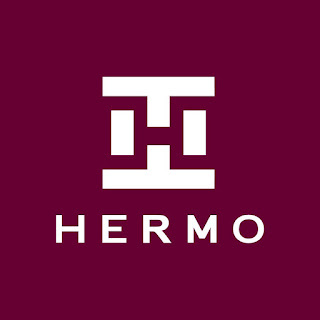 Click here to visit Hermo! Now we're done on beauty stuff, let's go to my favourite online fashion store. I love this site especially during Eid Celebration because they will give discounts that makes purchasing clothes a bargain! Sometimes you can apply coupon code on discounted items so that is a discount on top of a discount, whoa. Last raya, I bought two kurungs for less than RM200. The designs of their products are not typical and they have good quality too. 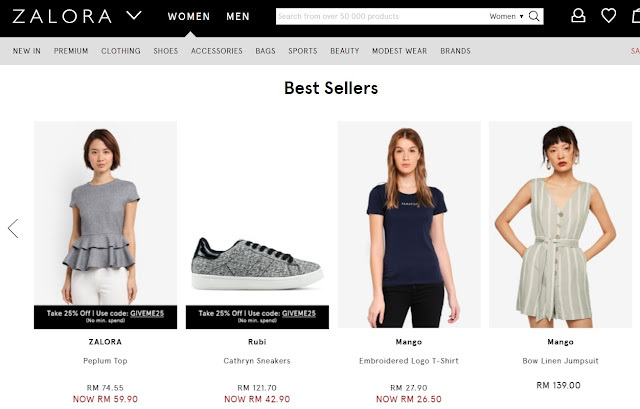 Zalora provides free 30 days return and free delivery for purchases above RM75. Cash On Delivery is available as well. You can find traditional wear, sports wear, premium clothing and much more. 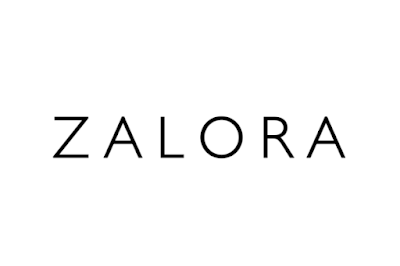 Currently Zalora ships to whole Malaysia and Brunei. Click here to visit Zalora! I am saving the best for the last! This is my ultimate favorite shopping website ever. You can literally find everything, EVERY SINGLE THING from this website. From electronics, baby stuffs, fashion, and even groceries! And the best part is, they are selling them at an incredibly cheap prices. Sometimes their prices are amazingly cheap it makes you wonder if they actually earn anything from selling it lol. I have purchased numerous stuffs (more than 10 times) from this site and I have absolutely no problem with my orders at all. You can track your orders directly from the site. My personal experience of shopping here so far has been nothing but smooth. Some of the stuff will be shipped from overseas therefore it will take longer to arrive so make sure that you look at the shipping details. 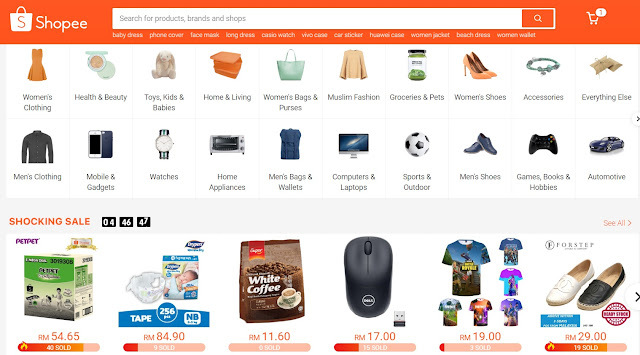 Other than Malaysia, Shopee is also available in Thailand, Indonesia, Singapore, Taiwan, Vietnam and Philippines. 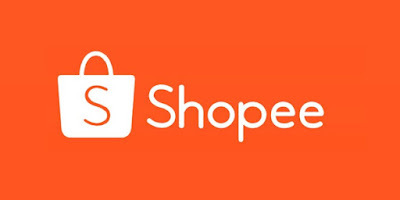 Click here to visit Shopee! Apart from having good services with affordable prices, most of the stores that I talked about shared one thing in common, and it is that the fact that I can save more while shopping at these stores. You wanna know how I do it? Follow this link here!